Statement Rules	are one of many types of rules used in Decisions Studio . The Statement Rule	is the most widely used and can be configured many different ways using “if and then” statements. You can also add “either, or” as well as “and” to create a rule with a true or false outcome. The true or false outcome evaluates the statement depending upon the variables that you select within the rule. Statement rules are rules that evaluate a statement and either return a true or false outcome within a flow. To set up a Statement Rule you can use data from data saved within your flow or within your designer catalog . 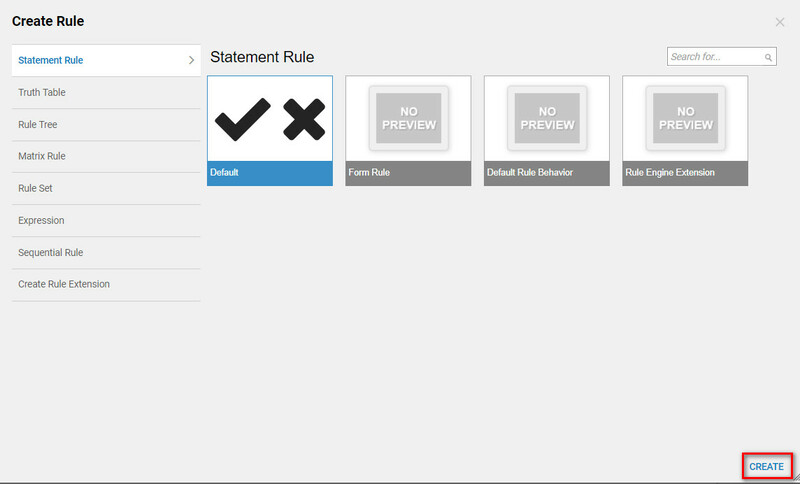 To start writing a Statement Rule	navigate to the designer studio and select Create Rule	on the Action Panel across the bottom of the Designer Studio . Select Statement Rule	, choose the Statement Rule Type	and selectCreate. First name your rule and proceed to the rule designer. In the rule designer select	Data Elements	choose from drop down, Pick Verb	and Configure	the statement. In the screenshot below is an example of a Statement Rule	that is used in a flow in order to evaluate approved insurance applications. For example when the rule evaluated "true" the data went down a pathway in the flow for approved applications.